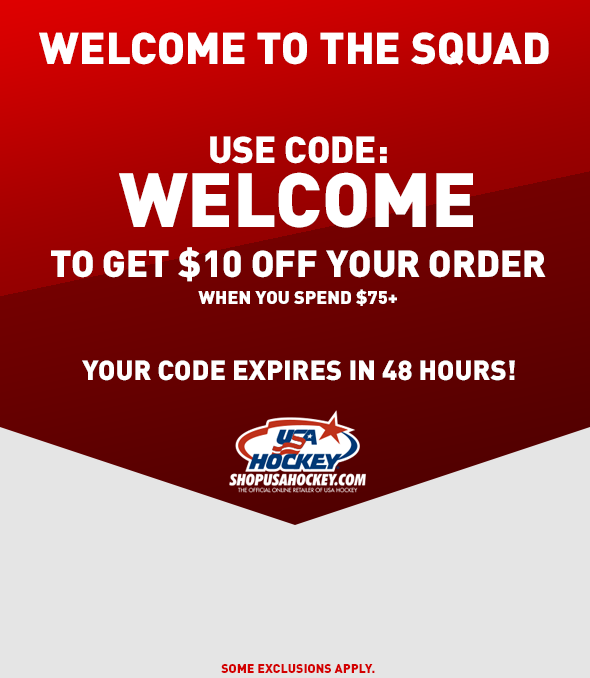 You are the star player in this personalized USA Hockey replica jersey! Nike branded and features a red and blue striped neck, sleeves, and tackle twill embroidered USA Hockey logo with satin stitch, along with star detail and the IIHF logo on the back. Made of 100% heavyweight polyester knit fabric. Color White. Sizes S-2XL. Personalize this Replica jersey with your name and number (maximum of 13 letters and spaces and numbers 00-99). Designate Captain("C"), Alternate("A") or leave it blank. Names are Navy tackle twill letters sewn on a white nameplate & the numbers are navy tackle twill and sewn on. Inappropriate language will not be accepted. Please allow up to SIX weeks for delivery of this item. Personalized items cannot be returned, nor can the order be canceled once the order is placed. Personalized items cannot be rushed or expedited. 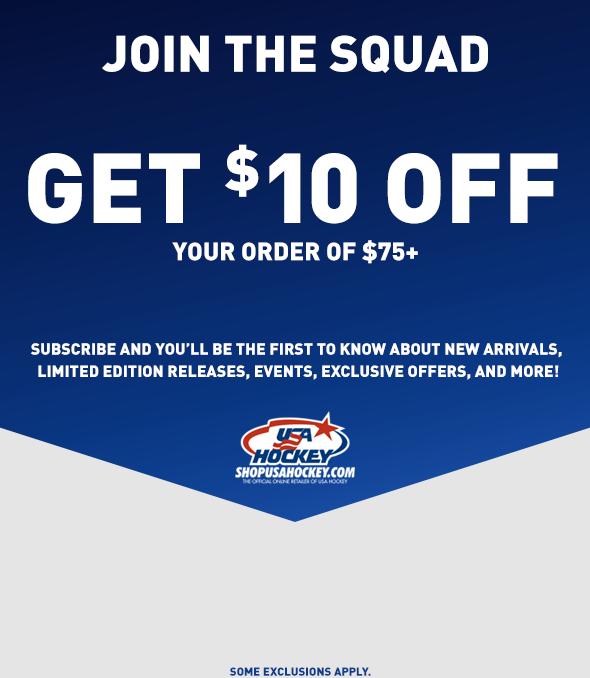 If you have any questions regarding any personalized item please contact our Customer Care Department at Customercare@shopusahockey.com. Well made and well received. My husband loved the jersey! This is a beautiful jersey that I had personalized with both name and number. I ordered it January 25th and UPS delivered it March 14th. My husband, with an athletic build, wears size 2X on top and the 52-54 fit him great. He has room to wear one of his performance mock turtle necks and maybe a light sweatshirt under it. The quality of the jersey is fantastic. And the name and numbers are stitched on beautifully, and look like the same material worn on the ice.Only complaint is that the back numbers, and especially the name are too high on the back. There is almost no room between the collar and the top of the letters of the name.